Yes, we get excited about winter sports (partly because that’s the only Olympic sport we really truly stand a chance at), but so does the rest of the world. If you need proof of that just have a look at the hashtag #worldcupsaalbach which has been positively booming this last weekend. On February 21 and 22 Saalbach Hinterglemm, a well known ski resort in the Salzburg mountains, came alive with more than 20.000 sports fans looking to witness the Men’s Downhill and Men’s Super G races, and to enjoy the vast entertainment opportunities around the event, including some spectacular airshows. 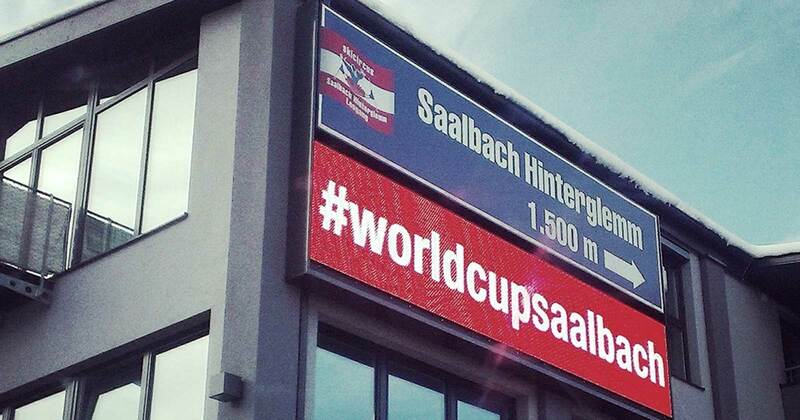 And the excitement was spilling over to the online realms as well: Saalbach has set up a Social Point on their Ski World Cup website, urging fans, athletes and officials to use the hashtag #worldcupsaalbach when posting their impressions of the event on Facebook, Twitter and Instagram. Paul Kubalek, who is in charge of the ski resort’s Social Media & Web activities carved (see what we did there? ;)) out some precious time during this huge event to answer just a few short questions for us. Is this the first time you deliberately used a hashtag during an event, and how well would you say the campaign was received? Very well. We started it just about a month before the event and it has taken off better than we expected. The Salzburger Land Tourism association supported us with their manpower and connections. Together we succeeded in motivating several athletes, teams, industry partners and, last but not least, regular World Cup spectators to use the hashtag. The potential reach of all hashtag posts exceeded all our expectations. 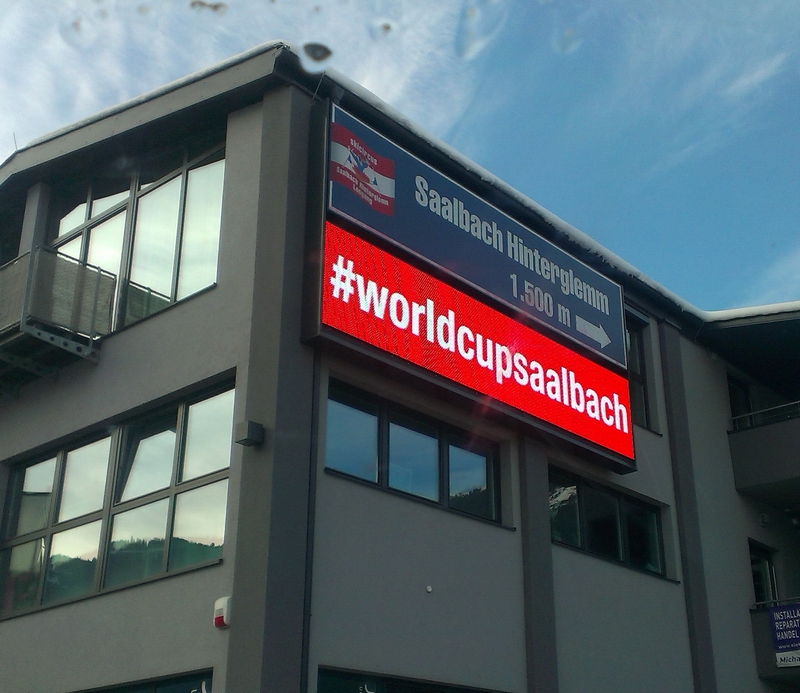 How and where did you communicate #worldcupsaalbach to the fans? We used the Social Media channels of Saalbach Hinterglemm and Salzburger Land, but were also in direct contact with marketing departments and key influencers. Business cards showing the hashtag were distributed to the hotels. We also put up hashtag posters at lift stations etc., and the stadium moderators advertised it as well. The hashtag sujet was also shown on video walls in the finish area, public viewing and bib draw party in the evening. Did you get athletes to use the hashtag as well, and how did you reach out to them about it in the first place? Yes, and this surprised us because many of them used the hashtag before we asked them to. I guess some athletes are avid social media users in the first place and were following our channels weeks before the races. Some were here the week before for training and started using the hashtag then. 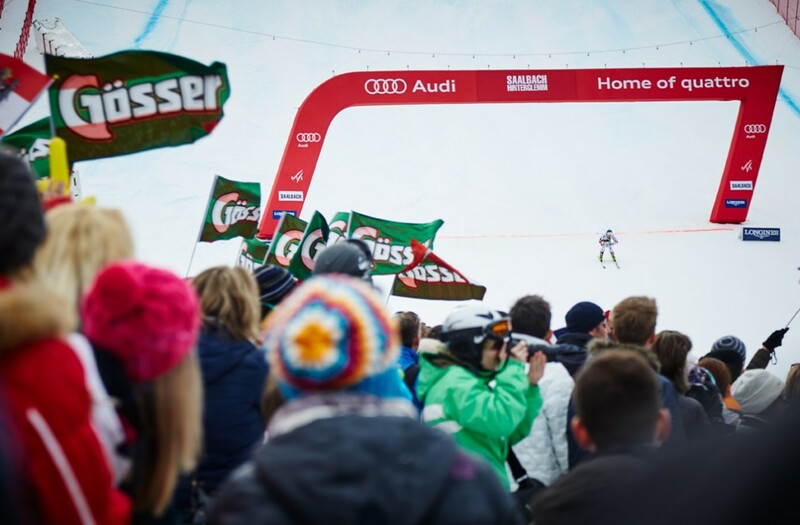 For example, the following racers used the hashtag on their channels: Matthias Mayer, Max Franz, Hannes Reichelt, Peter Fill, Marcel Hirscher, Andrew Weibrecht, Adrien Theaux, Kjetil Jansrud, Marie Höfl-Riesch (who served as commentator for a German TV station) and many more. 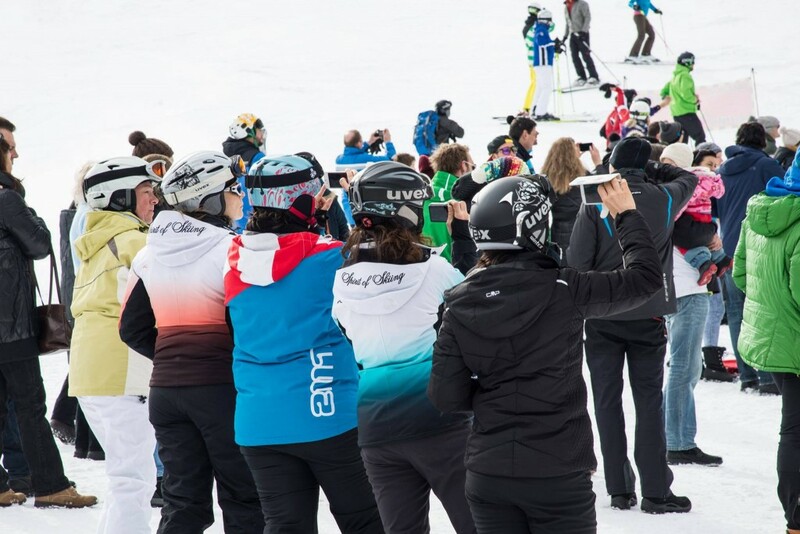 Ski teams (Austria, USA,…) started using the hashtag as well as FIS Alpine and several news portals. Did you use the hashtag on location, for instance on a physical social wall? If you want your hashtag used widely, make it visible.